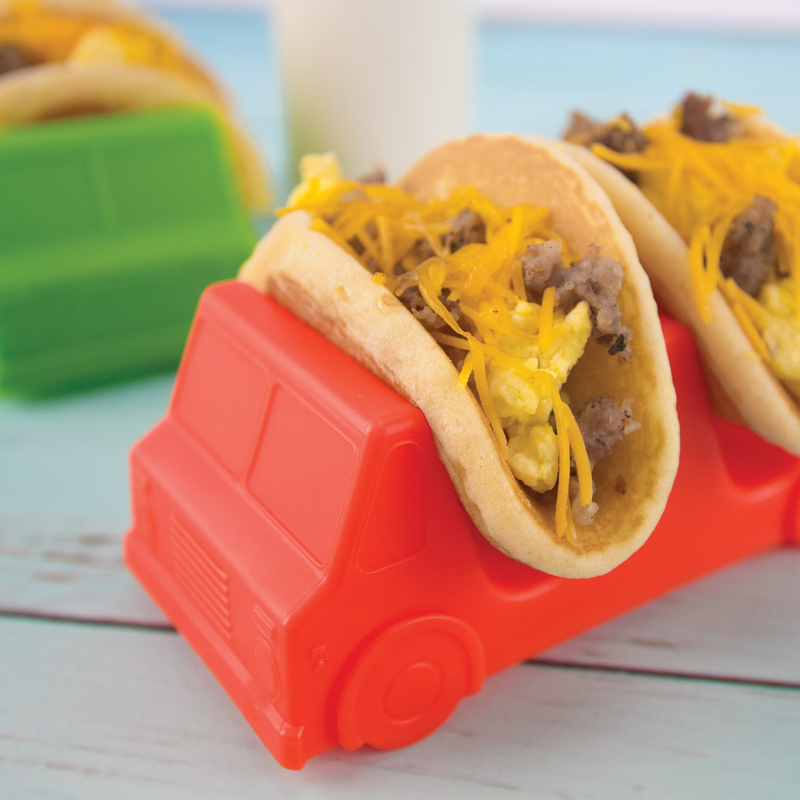 Throw a fiesta for breakfast with these handy pancake tacos! Once pancakes have cooled, spread your scrambled eggs on top. Next, take your sausages and crumble into tiny pieces with your hands before sprinkling over your eggs. Finally, sprinkle the shredded cheese over the top of your taco toppings and fold the pancakes into a taco shape. You can also add any other toppings like onions, pepper or syrup!